After long time of using Android phone, a large part of users may find it get slower and slower. In order reduce the storage users have tried a lot of methods. For WhatsApp users, the chat history can take lots of storage of your phone. Thus we prepared this article for your to transfer WhatsApp messages from Samsung Galaxy, HTC, Sony, HuaWei and other Android phones to computer, it can help to reduce the memory of your phone as well as keep your chat history safe, just follow us. To save time and keep Android phone data safe, we suggest you to use transfer software for backing up WhatsApp messages from Android to computer. Here we recommend you to have a try by using Android Data Recovery, in can help you quickly transferred the valuable history. After download and install the software to your PC/Mac, you should then connect your Android with computer via USB. You are required to enable USB storage and USB debugging in your Android phone. If you are not likely to know how to operate, you can refer to our guide. After you device successfully connect with PC, you should follow the tips the program give and you will see the interface below. Check "WhatsApp" and click "Next". After that, you need to wait for several minutes for requesting superuser authorization of your device. 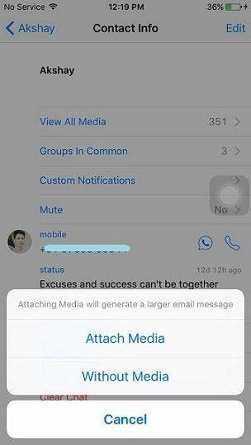 When the scanning is completed, you will see that all WhatsApp messages (existing and deleted) are listed. You can preview details with name, time & date and contents. And then you can select the messages you need and click "Recover" to save them on your PC/Mac. WhatsApp also provide web service that uses can use it easily backup their chat history. But this method is not applied for text and audio messages. Go to "web.whatsapp.com" in the browser. Open your WhatsApp on the phone. Press menu icon and tap on “WhatsApp Web”,scan the QR code on PC screen. Choose the contact, and you’ll see all the conversations. Click the file and it will be displayed in a preview mode. Click the download button on the upper right corner. Open WhatsApp on your Android device, go "Setting>Chats Setting>Chat History>Email chat"
Select the history you like to have and send as attachment. Login your Email on PC/Mac and save the WhatsApp chat history. This method is also kind of easy to operate, but it is not suitable for massive transfer. That's all about how to backup WhatsApp messages from Android to computer. 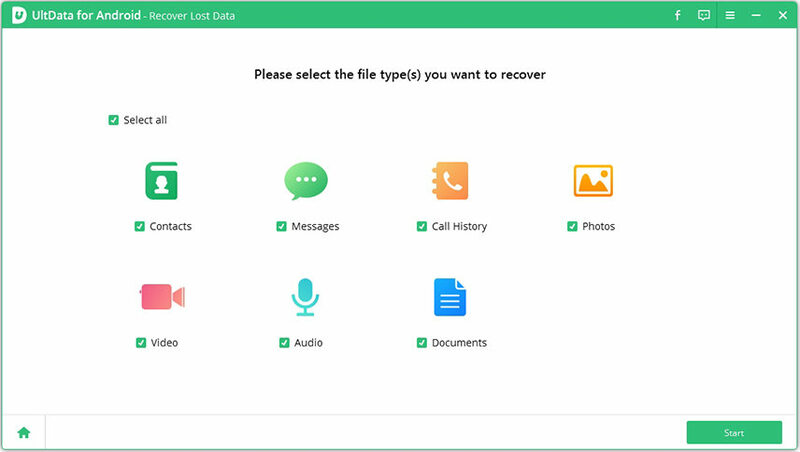 If you'd like to transfer other types of Android files, Tenorshare Android Data Recovery will also give you a hand, come and have a try!